GST may simplify the tax code, but it complicates your business compliance. One of the greatest challenges in complying with GST will be all of the filings you will need to make to the Goods and Services Tax Network (GSTN)system. Of those, the filing of monthly returns could be the one of the more costly, risky, and labor intensive simply because you will have so little time to properly complete the filing each and every month. The monthly filing starts with the invoice data filed to GSTN by suppliers. They are required to upload their sales written data as their GSTR-1 filing by the 10th of every month. The GSTN then separates all that data for each of their customers. The supplier data that pertains to you and your business becomes your GSTR-2A. You will have only 5 days – until the 15th of the month – to reconcile that supplier data with your records and to file any changes and corrections as your GSTR-2. Whatever changes you made becomes your supplier’s GSTR-1A data. They have until the 17th to take action on those changes. That data is then auto-populated to your GSTR-3, and you have only 3 days – until the 20th of each month – to file your GSTR-3 and to pay your taxes. Next month, it starts all over again. So, how can this process be simplified, streamlined, cost you less time and money, and reduce the risks to you that result from manual processing and human errors? One very clear way is with technology and automation that starts with the paper invoices from suppliers. Paper invoices require manual reviews, routing, and approvals. Dealing with paper is costly and prone to error. The same is true when it comes to matching invoices with purchase orders and goods received prior to manually keying the invoice data into an accounts payable system. Every step in the manual procure-to-pay process is costly, time-consuming, and full of potential for errors that create risk to the business, especially now when filing tax data is so important under GST. But, start the whole process with technology that automates the capture of paper invoices and which converts that paper into data, and now processes such as review, validation, approval, and integration with accounts payable systems becomes a fast, efficient, transparent, and much cheaper way to process and pay invoices. Just think of all the invoices you might start getting now that transactions as low as Rs 200 need to be invoiced! Now is the time to automate manual processing of paper invoices. It will immediately lower operating costs plus bring you the added benefit of streamlining and reducing errors when it is time to reconcile your data with your suppliers’ data. 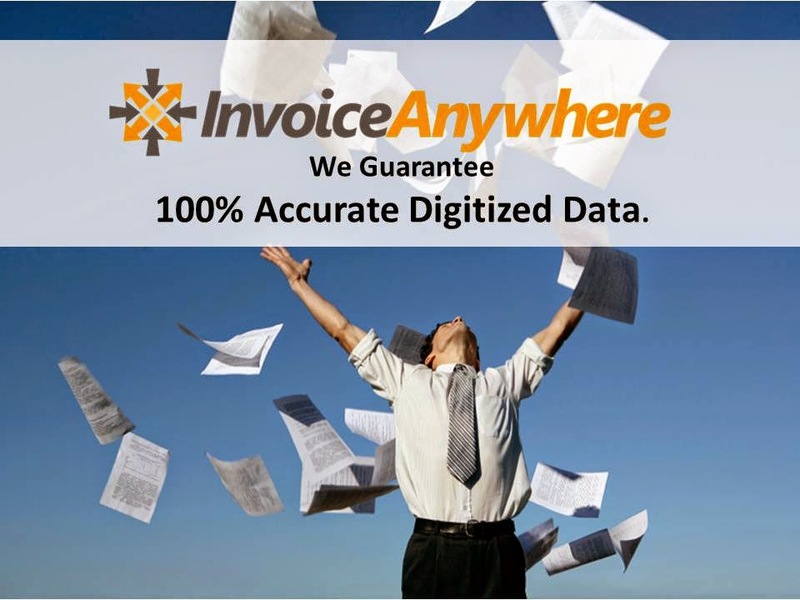 InvoiceAnywhere from ExpenseAnywhere is just such a solution. InvoiceAnywhere automates the entire procure-to-pay process to save you money, reduce compliance risk, and give you immediate access to vendor data that will help you to comply quickly and easily with the requirements for tax reporting under GST. Visit us on the web or call our NOIDA head office today at 0120-401-1500 to learn more and to schedule a demo to see InvoiceAnywhere for yourself.